Plant Species Z is a plant in the Aberration DLC of ARK: Survival Evolved. The plant can be grown by putting Plant Species Z Seeds in a Large Crop Plot. The seeds can be found at wild Plant Species Z plants. 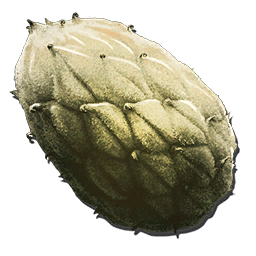 Once fully grown, it produces Plant Species Z Fruits, which act as a flash-bang grenade that blind both survivors and creatures for a few seconds. Unlike the Plant Species X, it is not a defensive plant and can't shoot projectiles. Standing near the plant (both wild and plot) causes it to glow and scare away any creatures that are frightened by light. Furthermore, wild variants restore and revitalize any player and tamed dinos nearby if they have not been hurt or handcuffed for the last 5 minutes. (due to game mechanics this is not effective on baby creatures). 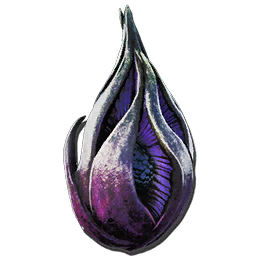 If players stay nearby the plant will retreat its tentacle every 60 to 90 seconds and expel a single fruit; collecting it provides one Plant Species Z seed. If all players leave the vicinity for several seconds the countdown will reset; otherwise it will continue producing fruit at the same interval as long as at least one player is nearby. The Plant Species Z grows the same as any other plot-based plant, consuming both water and fertilizer to grow. A common mistake many survivors make is believing the wild plants to be dangerous. They are perfectly safe and the plant will not harm the player, tames, or any other creature in close proximity to it (It will scare away creatures that are negatively affected by light however). In fact it is on the contrary as standing near the plant gives revitalization properties. This page was last edited on 7 February 2019, at 22:23.